Step 1: Enable “Sync Files Once Protected” option in Amazon S3 Settings page. This option allows you to automatically sync files to S3 bucket after protection. Step 3: ‘Choose file’ popup will appear when you click on “Add file” button. Tick “Protect this file” checkbox to protect your product file. As you have enabled the auto-sync option on step 1, the files will be automatically synced to S3 bucket once protected. You can double-check on Media page or under PDA file configuration popup. 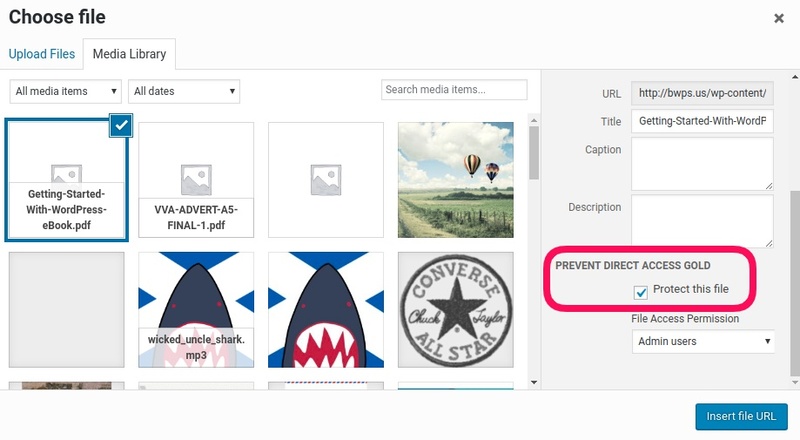 Note: You can protect and sync files to S3 bucket before or after creating products. After purchase, when the customer clicks on the Download button, they will get your product files through signed Amazon S3 URLs. You have an option to help stop customers from sharing your product files by expiring the Amazon S3 Signed URLs. These links will expire after the pre-set time. So if your customers want to re-download the product files, they have to go back Checkout page or click on the link embedded in Purchase confirmation email. It’s important that you choose “Force downloads” (recommended) or “Redirect only” option under WooCommerce Setting -> Products -> Downloadable products page for our Amazon URLs to work properly.